Quantum Physics tells us that everything is energy. In Equine Therapy we are constantly working with clients and horses energy - be it their thoughts or physical actions. 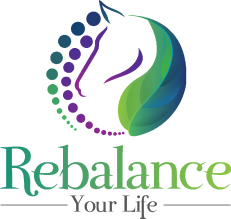 Reiki being an energy modality is a wonderful union with Equine Therapy but is also a powerful stand alone modality. Reiki means Universal Life Force Energy. It is an ancient Japanese holistic therapy which brings about healing on a physical, mental, emotional and spiritual level. The energy flows through the practitioner's hands whenever the hands are placed on, or held near you. Reiki promotes healing by activating the relaxation response that helps the body to balance itself at a very deep level. You may feel comforting heat or gentle vibration or see different colors of light. Your breathing will relax which encourages your body's nervous system to relax too. Reiki can be very good for anxiety or just to feel rejuvenated. I have been trained in the Usui Tradition (Usui Shiki Ryoho Reiki). The lineage can be traced back to Dr Mikao Usui. Animals can also receive Reiki and respond well to the gentle grounding energies.